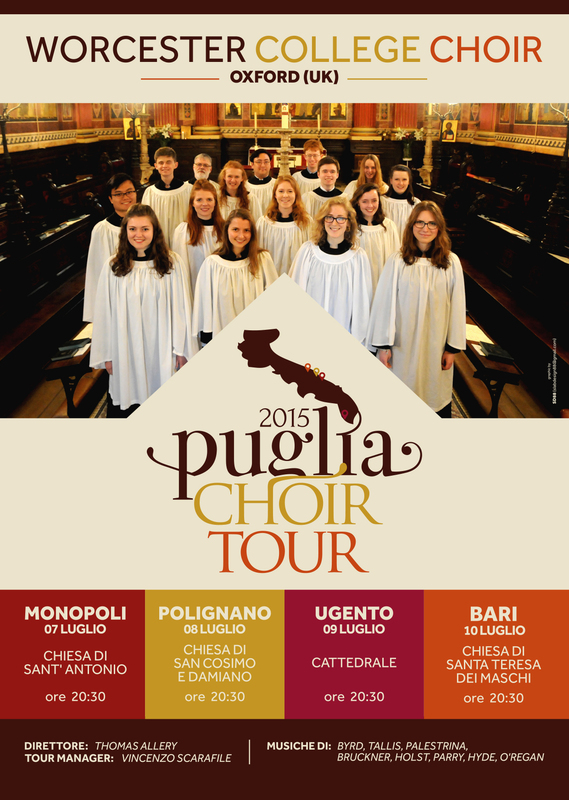 Next week the chapel choir of mixed voices will be touring to Puglia, South Italy. The choir will perform concerts in Monopoli, Polignaro a Mare, Ugento, and Bari. The music for the concerts includes music by Byrd, Tallis, Palestrina, Gibbons, Hyde, Bruckner, Parry, and Clemens non Papa. You can follow the choir’s progress on twitter @worccollchoirs and Facebook.